To confirm ultrafine bubbles are continuously produced in the production process. 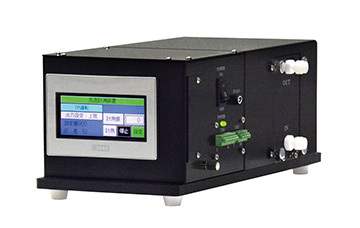 To have a reference of nano bubbles concentration levels in the laboratory. To have alerts of too high or too low bubble concentrations to start or stop the ultrafine bubble generator. When it comes to water monitoring, we have a few sensors available for measuring water quality. The most popular are EC, pH and DO. To measure ultrafine bubbles, there is laboratory equipment available which can do a very fine and precise job. NanoSight with the particle tracking analysis method is probably the most widely used measurement instrument for ultrafine bubbles. But also, Shimadzu with the Sald7100HH and the Helos from Sympatec can measure ultrafine bubbles. The downside of this equipment is that it's relatively expensive and not suitable for process monitoring. 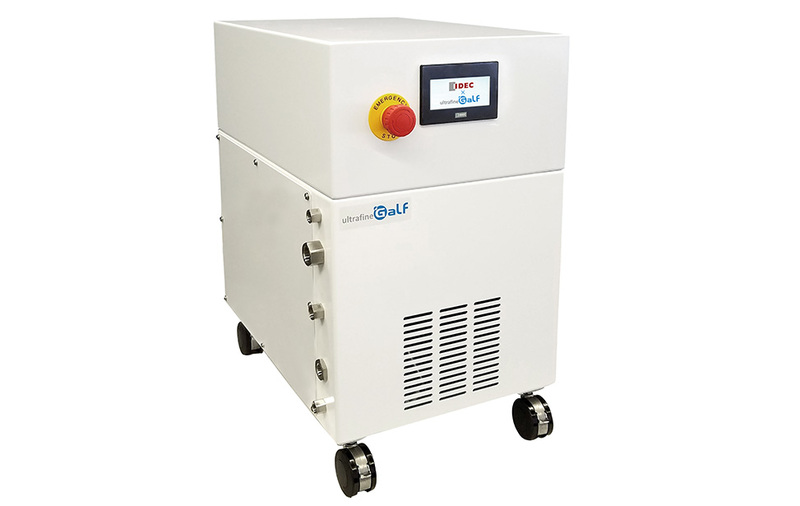 Many clients are looking for a more economical solution to get an indication if their ultrafine bubble generator is working perfectly and to safe costs and energy when high levels of ultrafine bubbles are reached equipment should stop automatically. 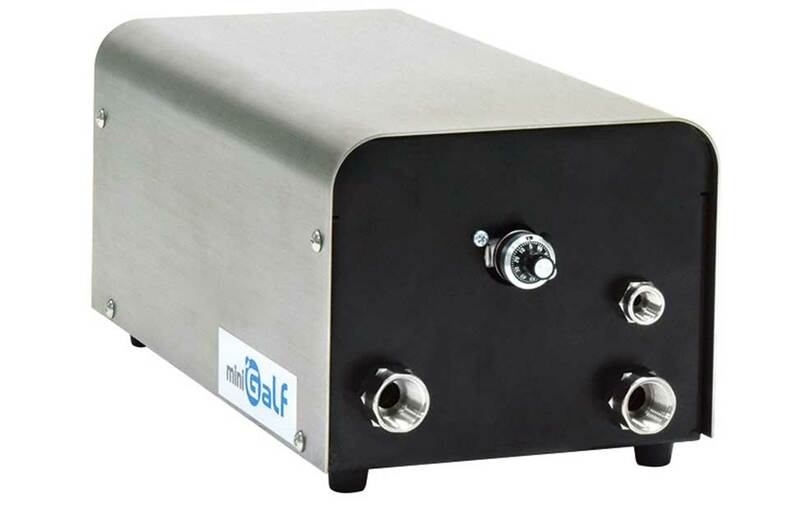 The ALT-9F17 is an ultrafine bubble monitoring system based on the scattered laser principle. 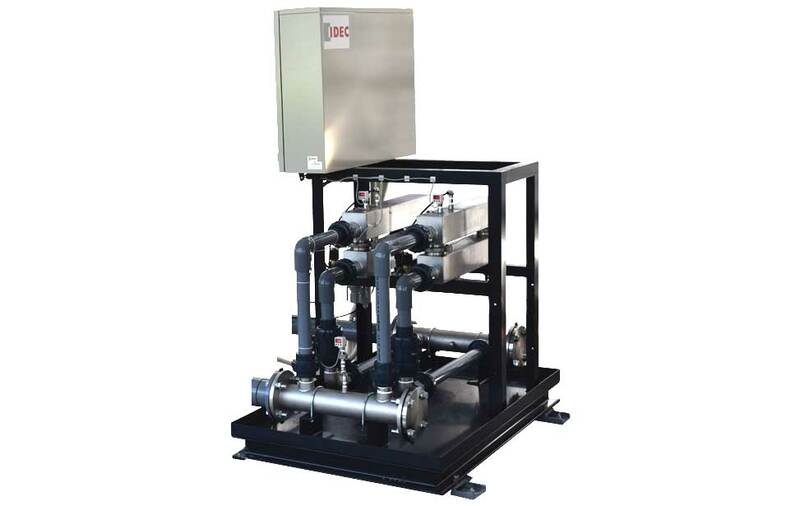 The unit can be fed constantly with sample water, either by gravity or with a small pump. The laser signal gives a value between 0 - 1000, this value can be translated to the approximate bubble concentration. Optional items available with this unit, clear tubing 6 mm, filter to filter impurities, 60 ml / minute pump to feed the monitoring system. 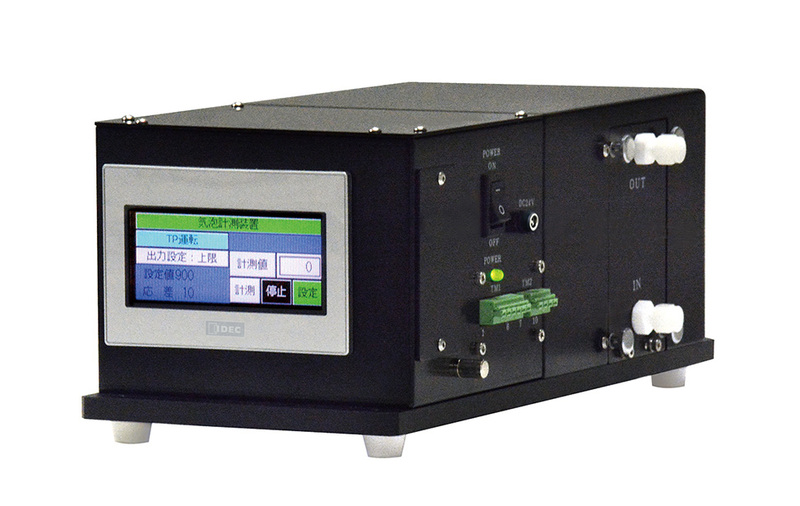 The unit can be operated with a touch panel interface in either English or Japanese. The unit comes with an English manual. 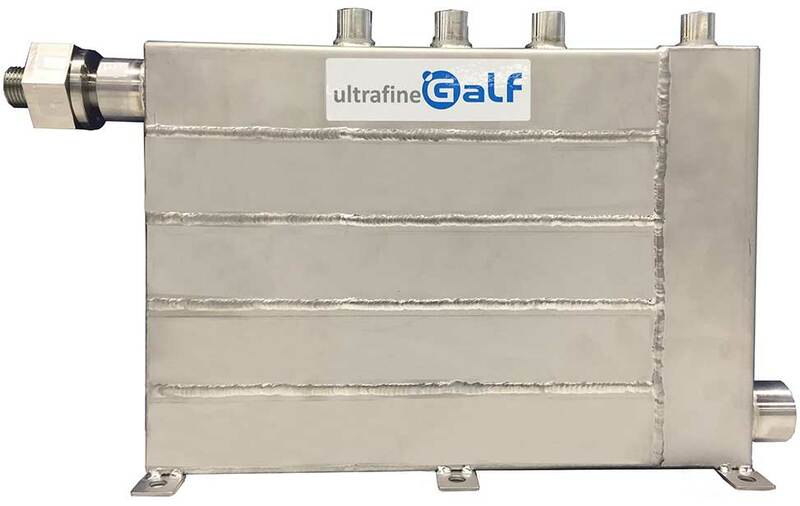 Note: The ultrafine bubble monitoring device was made in collaboration between ALT and IDEC manufactured by ALT. Sold exclusively by IDEC and its dealers. The signal level of laser scattered light is dependent on number concentration and size of bubbles. Both higher concentration and larger sized bubbles give higher levels of signal. Particles also give signal to the sensor as the laser is not able to distinguish a bubble from a particle. 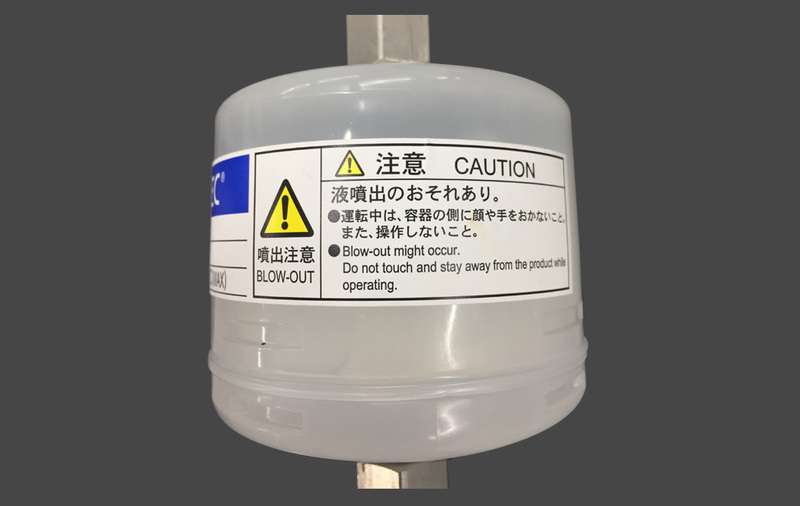 Water color and turbidity will interfere proper measurement with high turbidity the laser will give a too strong signal to see a signal from the bubble. 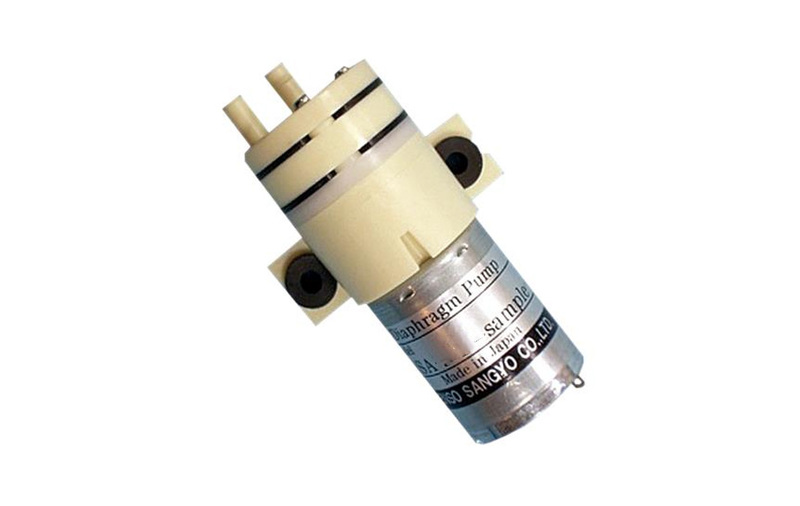 Sample feed pump for ALT 9F17 UFB monitoring device.